The 6' American DJ Accu-Cable Indoor/Outdoor General Purpose IEC Extension Cord is appropriate for both home and professional applications. 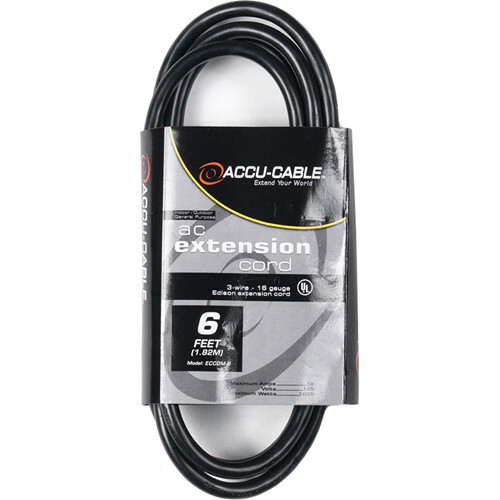 The 3-wire 16-gauge cord features a ground prong and can extend the connection-cable length of a wide variety of electronics. The cord is rated to 13 amps, 125 volts, and a maximum of 1625 watts. Box Dimensions (LxWxH) 3.8 x 1.7 x 1.1"